Hyderabad: Students at Hyderabad’s Osmania University declared on Sunday that they would ratchet up their campaign for the creation of a separate Telangana state out of Andhra Pradesh even as authorities shut down the campus that has served as the nerve-centre of the movement. 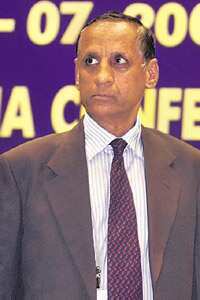 A former chief of the Intelligence Bureau was, meanwhile, appointed acting governor of Andhra Pradesh on Sunday. E.S.L. Narasimhan, an Andhra Pradesh-cadre police officer who is currently the governor of Chhattisgarh, was handed over the additional charge after governor N.D. Tiwari resigned amid accusations of sexual misdemeanour. The government also decided to depute additional police and paramilitary forces in Hyderabad and other parts of the proposed Telangana state as protesters continued to stage road and rail blockades. The Osmania students’ joint action committee announced it would organize a convention in Hyderabad on 3 January to put pressure on the Union government to begin the process of granting statehood to the Telangana region. Students from 10 districts are expected to participate. The police had forcibly entered the campus on Saturday night to shift one of the students who was said to be critical. Even as students upped the ante, rifts within the political front fighting for Telangana widened. C. Kodandaram, the convener of the all-party joint action committee, said the panel would intensify its campaign from Tuesday if the Union government did not announce launching the statehood process by Monday. But the opposition Telugu Desam Party stayed away from the committee, accusing it of having a pro-Congress bias. Congress leaders from Telangana too didn’t seem to favour action through the joint panel. One of them said: “Instead of joining the committee, which is dominated by Telangana Rashtra Samithi (TRS) president K. Chandrasekhar Rao, our party high command wants us to take the lead and ensure that the credit for formation of Telangana does not go to TRS." Last week, the Congress-led Union government appeared to back down from its earlier declaration that it would move to create a Telangana state, after home minister P. Chidambaram said political consensus was required for the move.